Creating a home or an office that gives a reflection of the type of life you want to live requires frequent contracting of handymen and handywomen. When you have a long to-do list at home or at the office, it may not be economical for you to hire different specialists to fix the various problems. It is better to hire a handyman who will provide several services at a go. Most repair tasks that you can do yourself at your home can be done better by a professional handyman. They have the tools for the job and their rates are usually affordable. You need your lawns, manicured and maintained at their best, for instance. You don’t have to hire a lawn maintenance company which will charge you high rates. You just need a handyman to do the job at certain times and earn hourly wages for the job done. The toilets are very crucial for a healthy and comfortable living. Leaky toilets make life miserable at home and at work, and there are several handymen out there who have the skills to fix such toilets and restore comfort at home again. The color of your home or office paint makes a strong personal statement of style and décor. Sometimes, you don’t need to hire a professional painter, especially if you want to spend as little money on the painting task as possible. 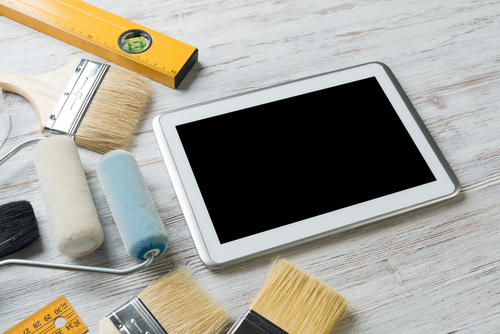 Professional handyman service providers are there to offer painting services at customer-friendly terms. It is worth noting that the quality of service offered by professional handymen is just the same as the one offered by specialists, as long as the best handyman is hired. You will need to expand your office or home at some point. Whether the renovation works are occasioned by expansive growth or downsizing, you need to have various remodeling tasks done by a specialist. It would be expensive to hire a different specialist for each task, and that is why handyman services are recommended in this case. If electrical and plumbing are not in order at home or at work, nothing else seems alright. Electrical works are very important in lighting and running various appliances. Plumbing works, on the other hand, ensure that clean water is running smoothly the way it should, and the drainage system is at its best. It is important to note that when looking for a handyman to fix electrical and plumbing problems, you have to make sure that are conversant with tasks. This is the time to look for skilled handymen. Carpentry services are important in making life easy at home and at work. Sometimes, there are small carpentry tasks that can be performed by a handyman. It is not advisable to hire professional carpenters for such tasks. Furniture layout also determines the amount of space available at work and at home, and it is good to hire a handyman to decide the best way to assemble your furniture to give your home the best look. Professional handymen versus contractors It is important to know when to choose a handyman and when to contract a professional. Handymen are good at simple repair and servicing tasks. Complicated tasks should be given to professionals who have a good track record in the specific field. On a different note, handyman services in Singapore are not as strictly regulated as contractors’ services. This means that it is both easier and cheaper to hire a handyman than a specialist. 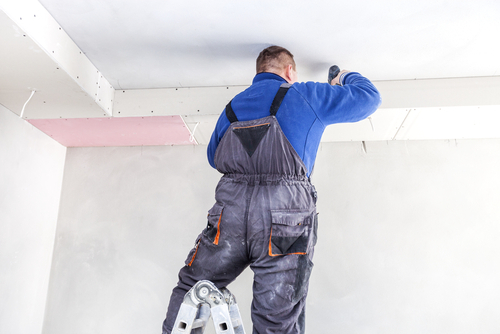 Most handymen charge an hourly rate for their services while contractors do a survey of the job to be done and give a quotation that may be exaggerated. This means that when you hire a handyman, you only pay for work done. Hiring the best handymen in Singapore Handymen can either be skilled or unskilled. Some are licensed in specific areas of home improvement while others are not. 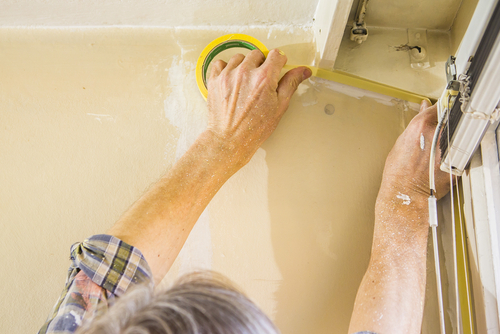 While no one will take you to court for hiring a non-licensed handyman, it is important to consider suitable guidelines when choosing a handyman. Here are a few of these guidelines. • Ask for referrals. Most homeowners wherever you are in Singapore have used handyman services at one point in their lives. It is advisable to ask for referrals from these homeowners before making a decision. Building contractors also have a list of handymen service providers and they could be of great help. • Perform thorough background checks. A good handyman is one that does not have a criminal record. You should also perform drug screening and other checks to ensure that you hire sober individuals who will complete the tasks given without mishaps. • Guaranteed. A good handyman offers guarantees for his work. You don’t want to hire a handyman every other time when the problems can be fixed at once. You need one who will fix the problem once and for all so that you get value for your money. • Good communication. Poor communicators are rarely going to fix your problems and provide the comfort that you are looking for. You need to talk to the handyman or handywoman whenever you have a problem, and he or she should be ready all the time to serve you. Some home improvement tasks are better done by one handyman every other time and that is why a good communicator will be the best candidate for the job. • Respect for your home or office. You will be allowing your preferred candidate to get into your house or office to perform the various fixes you want to be done. He or she must show respect for your house or office. More problems should not be created in the process of solving one problem. • Avoid handyman service providers who subcontract their services. You should hire the organization or the individual who will do the job himself, not one who will subcontract their work. All said and one, handymen do odd jobs around your home that you may not be able to do yourself. Even when you can do the task yourself, it is better to concentrate on other more important tasks at home as you let a handyman do the donkey work for you.